Everyone wants to live a life full of meaning, purpose, and success. Yet you clutter your mind with limiting thoughts of can’t do this, can’t do that, it’s too high, too far, too great to achieve. 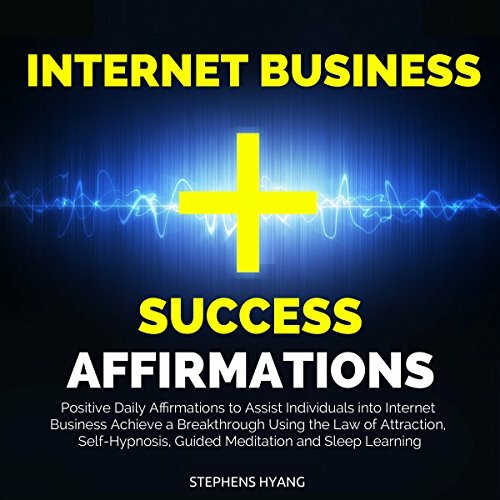 Divided into two sections, "Subliminal Affirmations" and "Laws of Attraction Guide", this audiobook will show that your subconscious is the most powerful tool to help alter your life in a positive manner. Call it meditation or even self-hypnosis, but the principles stated in the audiobook actually work. It is proven that repetitive constructive affirmations attract positive energies in your life and that desire is the first step toward achievement. You can choose to repeat them loud and proud or they can be repeated in your mind during idle times such as commuting or even taking a shower. Think positive, be confident, and change your life now by taking action and downloading this audiobook. Don’t be a pessimist and navigate away. You can’t achieve any success if your mind-set is constantly plagued by negativity. I love this. The affirmations where relevant and powerful for anyone who is transitioning to entrepreneurship or already in business. The only down side is the narrator speaks a little slow for me being a fast speaker but I was able to increase the speed when listening to so not really a big issue. The narrator also sounds a bit mechanical but after listen a couple of times I did notice it so obviously. I believe it us one of the best crafted set of affirmations I've come across in the market.